The car reminded me of the two VERY yellow cars my parents owned back in the 1960s and early 1970s. Their cars were equally small and uncomfortable – but a lot of fun, but we didn’t call them Fliewatüüt. 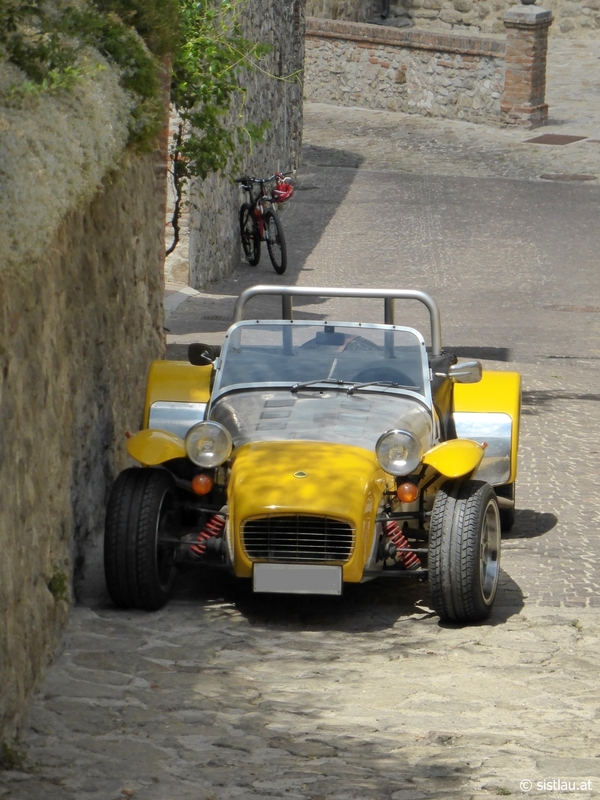 Spotted in Arqua Petrarca (Italy, Veneto).